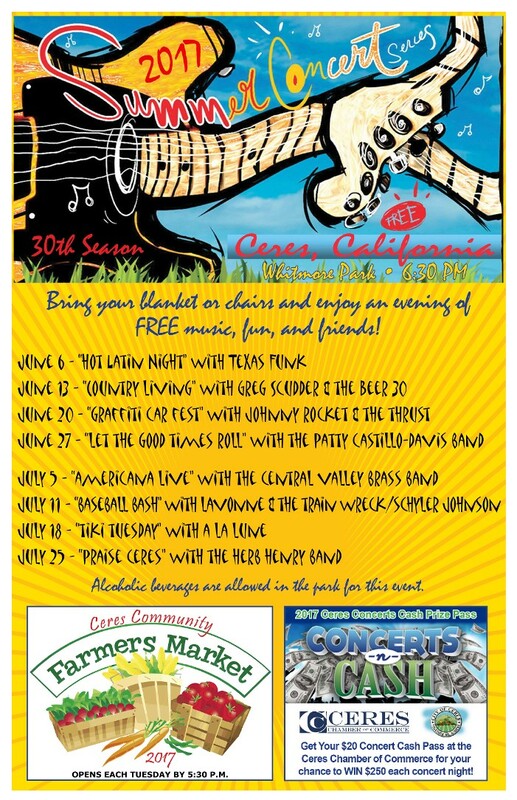 THE CERES COMMUNITY FARMERS MARKET RETURNS DURING THE CONCERT SERIES. 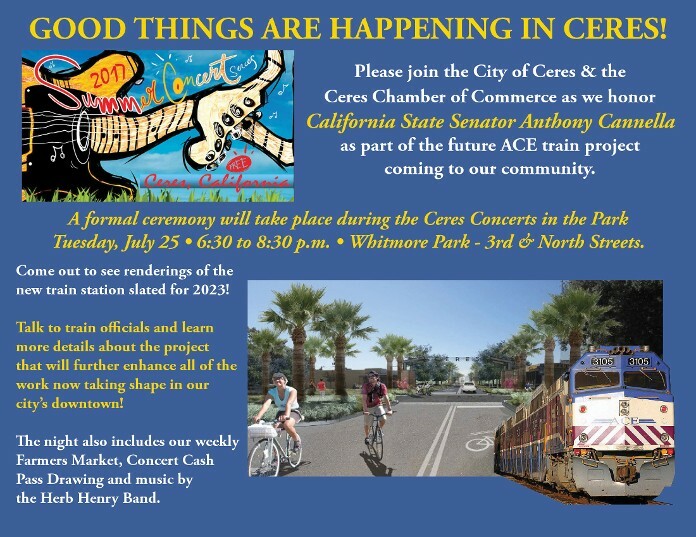 CASH PASSES ARE $20 FOR A SEASON PASS YOU HAVE 7 CHANCES TO WIN $250 EACH WEEK IN OUR CONCERT CASH PASS DRAWING! REMEMBER, DOGS ARE PERMITTED AT THE CONCERTS, BUT MUST BE ON A LEASH. HOWEVER, DOGS ARE NOT PERMITTED IN THE FARMERS MARKET.